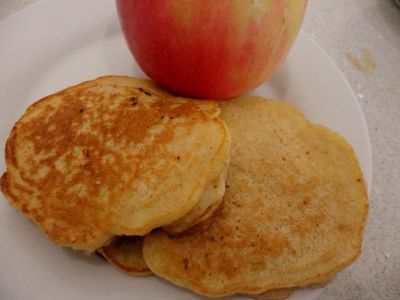 Wholemeal apple pikelets are a great lunchbox treat. This twist on a standard pikelet recipe places the tasty apple flavours within the pikelet itself, so they can be eaten entirely on their own or with additional flavours added on top. Apple pikelets are also an extremely versatile goodie - eat them hot off the pan for breakfast or lunch, pair them with some icecream for dessert, or pack them in a snap lock bag and take them to school or on a picnic! In a bowl, combine the wholemeal flour, sugar, and baking powder. 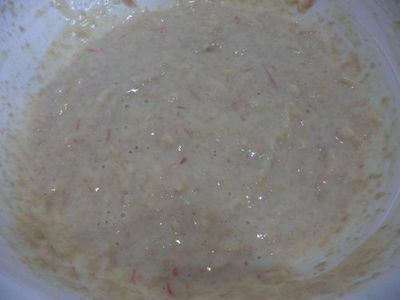 Once lightly combined, make a well in the centre in which to place the ingredients in the next step. In a separate bowl or jug, whisk the egg, then whisk in the milk until well combined. Pour the egg and milk mixture into the flour and sugar mixture, then whisk until smooth. 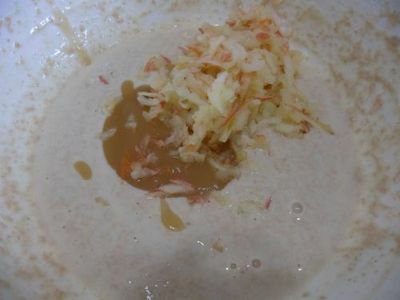 Grate the apple, then stir the grated apple and the apple puree through the mixture. Over a medium heat, heat a large frying pan. Brush the base with butter (you can also use margerine or olive oil here, depending on which is in the pantry). Place 1-2 tablespoons of batter in the pan to form each individual pikelet - cook in batches or 2-4 depending how many fit in the frying pan. 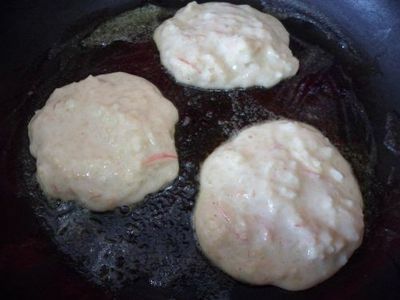 Cook for 2 to 3 minutes, or until small bubbles begin to form on each pikelet surface. 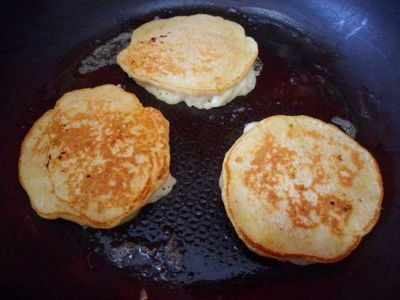 At this point, use a spatula to carefully turn each pikelet over, then cook for a further 1 to 2 minutes until golden and cooked through. Transfer the pikelets to a wire rack to cool, and store in an airtight container once cooled.